Welcome to tanswoodcomb.com, a website operated by ZarToo. ZarToo started in 2011 with a passion for consumers who are looking for natural wooden hair combs or brushes. We are known for providing products of superior quality, at price points everyone can afford. Zartoo's ultimate goal is 100% customer satisfaction; we are not about just selling great products, we also care about providing the best services possible so we can meet our customers' needs. 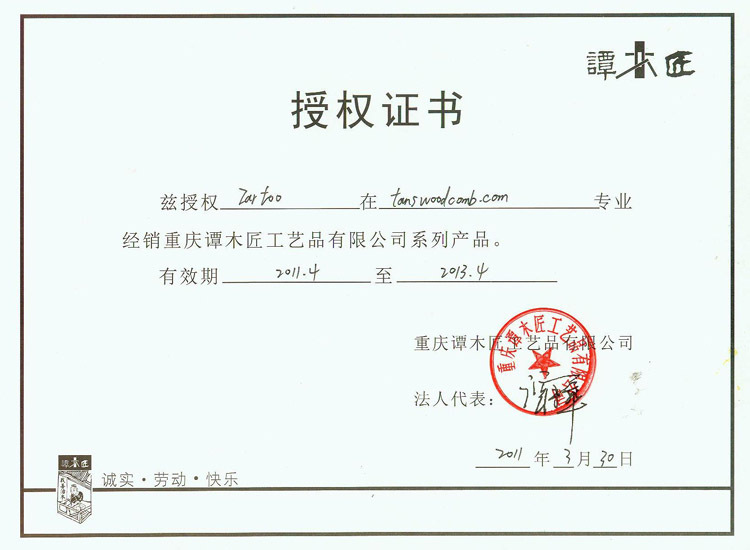 ZarToo is Carpenter Tan's official authorized sales agent in the USA. The brand “Tan’s” belongs to the Carpenter Tan Group which is located in Hong Kong and Chongqing, China. Tan’s has developed more than 2,400 comb products which are sold in nearly 760 stores in China, Singapore, Malaysia, South Korea, U.S., Spain, France and Hong Kong. Please contact us at sales@zartoo.com for any concern, issue, and feedback.